Secure a Hafr Al Batin vacation package on Expedia today! This is one of the easiest ways of saving time and cash for your awesome getaway. Up to C$590* can be saved when you book your package deal on Expedia. There's no need for you to search through a bunch of websites for your travel needs. With more than 400 partner airlines and 321,000 properties worldwide, our international database has got it all. You can postpone your travel reservations with us because we don't charge cancellation fees for almost all of our reservations. Itinerary need a little work? Hafr Al Batin vacation all arranged but not sure what to expect when you arrive? Let us give you a helping hand. Abu Musa Park is a green oasis of calm amid the hustle and bustle of life. Take off your shoes and feel the grass beneath your feet or simply lie back and look for shapes in the clouds. Still have time to spare? Are you eager to know more about the local religious traditions? Join faithful worshipers at Algati Mosque and enjoy an insight into the Islamic faith. If you're seeking out cheap vacations or luxury getaways in Hafr Al Batin, don't forget to book your accommodations ahead of time. There are just 3 Expedia properties currently available. 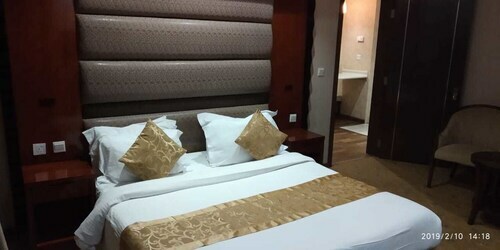 If you're searching for properties with awesome reviews and snuggly beds, you really can't go past the Ramada Hafr Al Batin (King Abdul Aziz st) and the Boudl Al Maidan (King Abdul Aziz Street). The airport probably isn't going to be the most enjoyable part of your vacation, but there's nothing like the feeling of knowing that your trip to Hafr Al Batin is just a plane trip away! Once you disembark at Qaisumah Airport (AQI), you'll be 10 miles (16 km) from the heart of town. 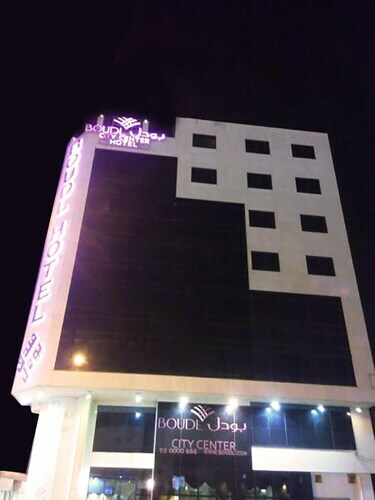 Situated in Hafr Al Batin, this aparthotel is 0.7 mi (1.1 km) from Boudl Land Amusement Park and within 3 mi (5 km) of Algati Mosque and Abu Musa Park. 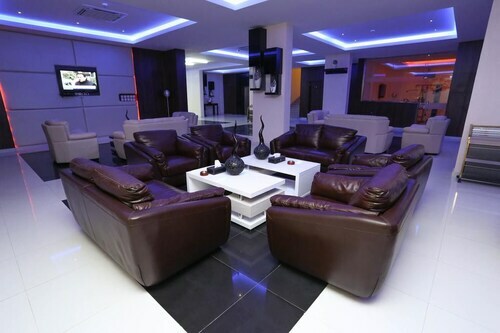 Located in the heart of Hafr Al Batin, this spa apartment building is 0.8 mi (1.3 km) from Boudl Land Amusement Park and within 3 mi (5 km) of Algati Mosque and Abu Musa Park. 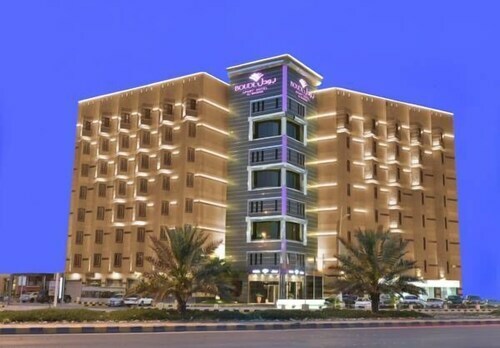 Situated in Hafr Al Batin, this hotel is 0.8 mi (1.4 km) from Boudl Land Amusement Park and within 3 mi (5 km) of Algati Mosque and Abu Musa Park. 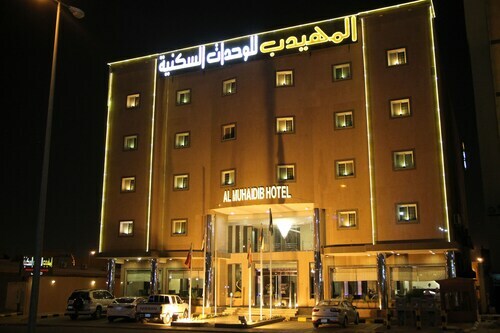 Situated in Hafr Al Batin, this hotel is 0.6 mi (1 km) from Boudl Land Amusement Park and within 3 mi (5 km) of Abu Musa Park and Algati Mosque. 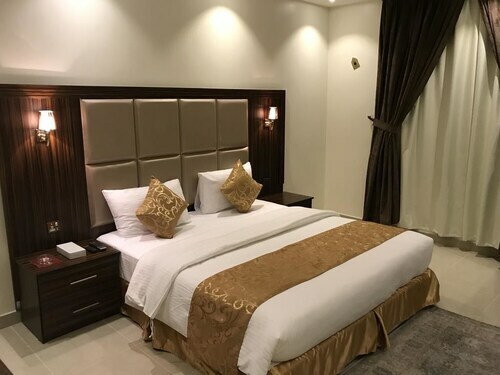 Situated in Hafr Al Batin, this aparthotel is 0.9 mi (1.4 km) from Algati Mosque and within 3 mi (5 km) of Boudl Land Amusement Park and Abu Musa Park. Situated in Hafr Al Batin, this aparthotel is within 2 mi (3 km) of Boudl Land Amusement Park, Algati Mosque, and Abu Musa Park. 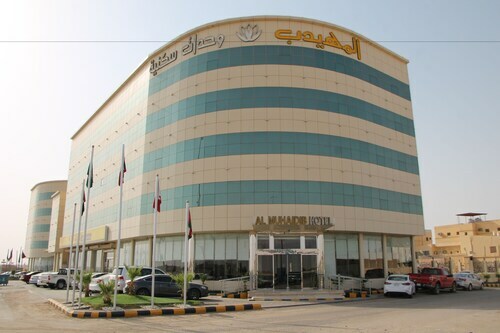 Situated in Hafr Al Batin, this hotel is 0.8 mi (1.3 km) from Boudl Land Amusement Park and within 3 mi (5 km) of Algati Mosque and Abu Musa Park. 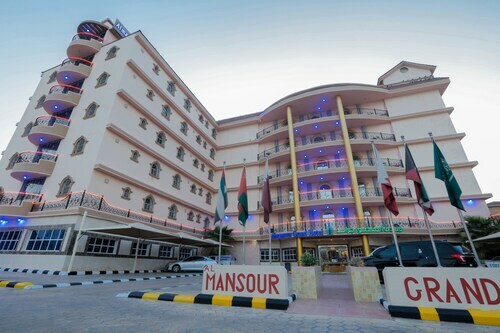 Situated in Hafr Al Batin, this hotel is 0.3 mi (0.5 km) from Boudl Land Amusement Park and within 3 mi (5 km) of Abu Musa Park and Algati Mosque.